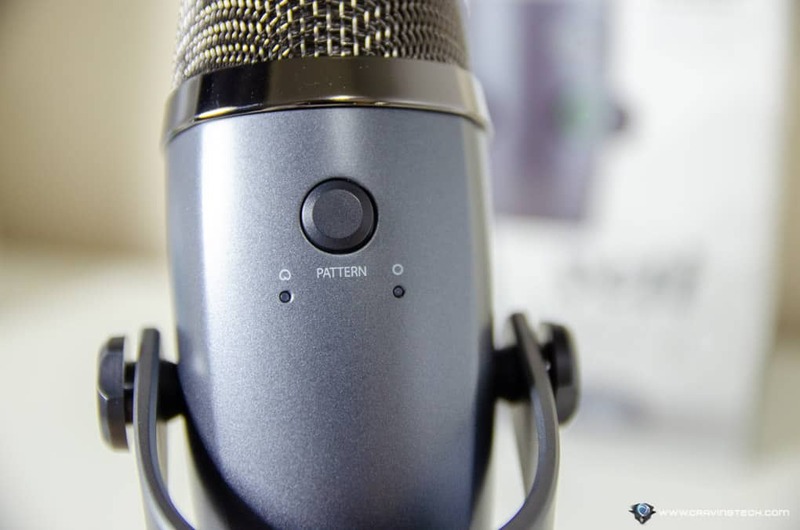 Blue Yeti Nano Review – The Blue Yeti microphone must be one of the most popular microphones used by YouTubers, Twitchers, and Streamers alike. And if you’ve been watching streamers who are using the Blue Yeti, you’ll understand why. 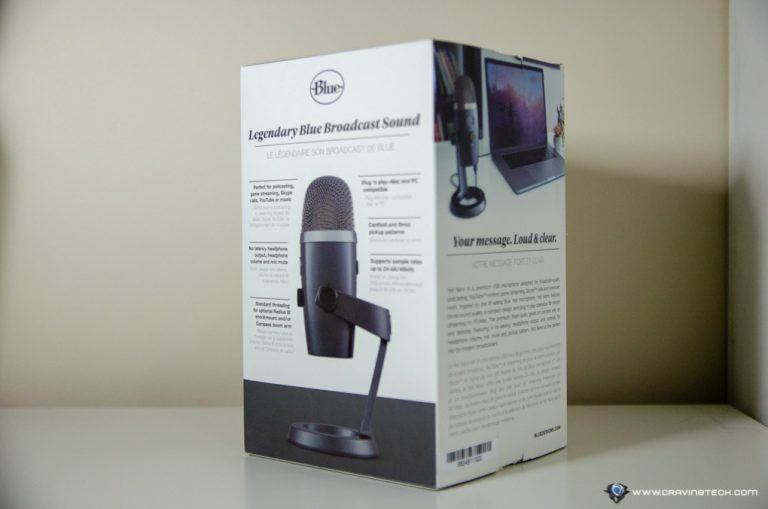 The Blue Yeti’s size is not everyone’s favourite but the team at Blue has come up with something that should bring plenty of smiles this time around. 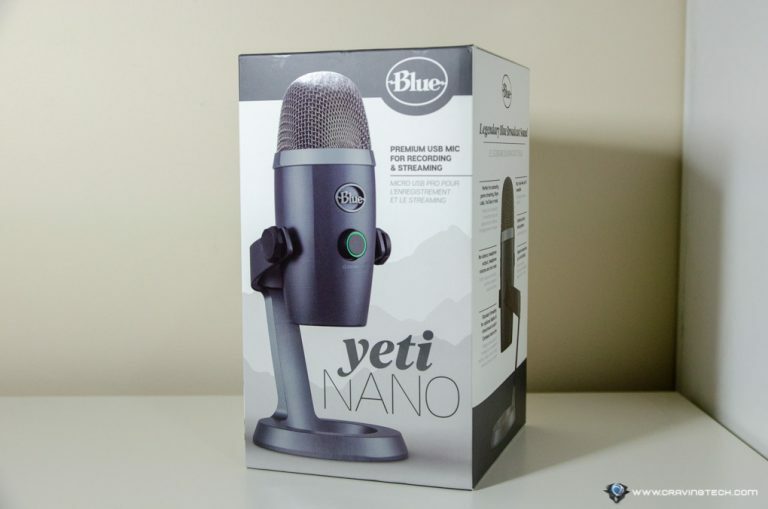 Blue Yeti Nano looks like as what it’s branded as. It’s the nano version (i.e much smaller version) than the original Yeti, but it doesn’t make unnecessary compromises. To cut the story short, it still has the awesome recording quality of the original Yeti, except that it only has 2 capturing/recording modes (Cardioid and Omnidirectional) instead of 4 (Cardioid, Omnidirectional, Stereo, and Bidirectional) and does not have a direct Gain control (but can be changed through Sherpa software or your Windows Sound settings). Cardioid is perfect if you are streaming and the Omnidirectional would be for anything else you might need it for. The original Yeti has a more niche usage, such as when you want to do a one-on-one interview with its Stereo mode. So if you rarely need that, you’ll be good with the Yeti Nano. The Yeti Nano also has 1 less condenser microphone capsule than the Yeti, but it supports 24-bit Bit Rate recording, compared to Yeti’s 16-bit. 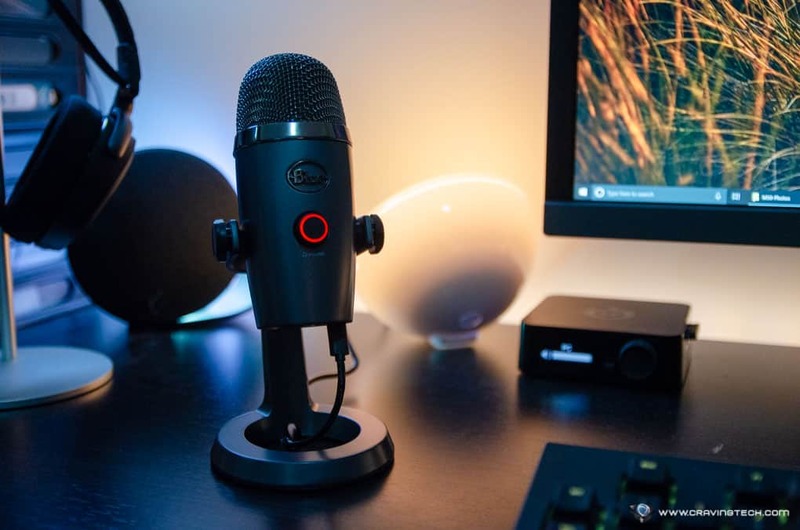 Sound quality wise, they are almost indistinguishable, judging from the comparison videos from Streamers and YouTubers who record their voices using both microphones (as I don’t have the original Blue Yeti to compare it with). The Yeti Nano comes with a desk stand and a very long microUSB cable. Thanks to its length, I had no problems setting it up even when my desktop PC is located below the desk. There is also a 3/8″ to 5/8″ adapter for those who need it. Packaging comes with the essentials so you can start using it right away, but it supports optional shockmounts and boom arms (which is highly recommended if you want to get the best recording sound possible). The boom arms will help reducing any vibration or noise your mechanical keyboard makes (and bring it closer to your mouth), compared to having the Yeti Nano on the desk stand. This is because Yeti Nano is a condenser microphone and it’s quite sensitive to pick up all sorts of noise. With the stand, you can tilt the Yeti Nano up and down to match your desk set up. 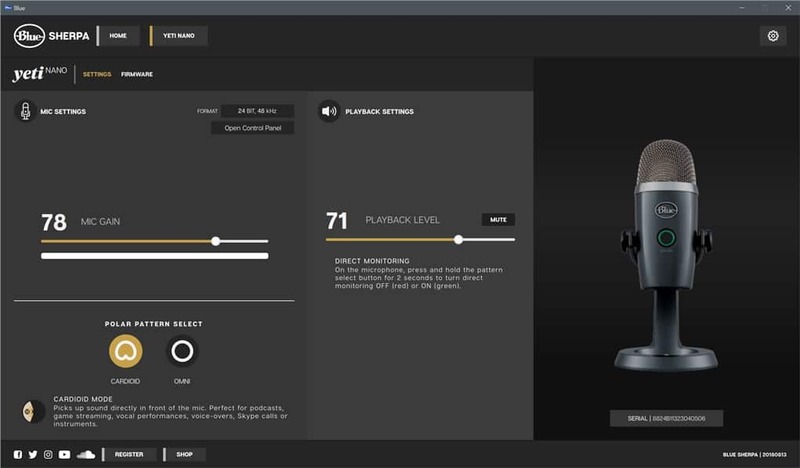 You can plug in your headphones or earphones for direct audio monitoring and the volume knob in front can be rotated to adjust the playback volume. 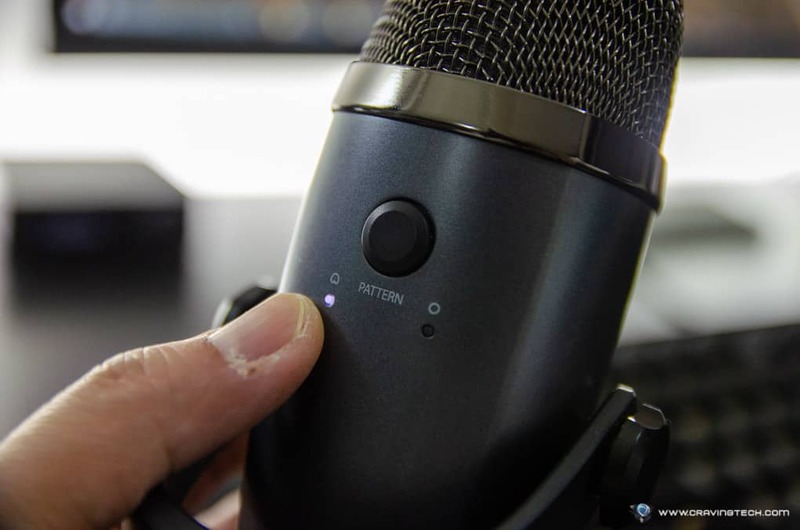 The same knob can also be pressed to instantly mute the Yeti Nano, which comes in handy as you might want to mute the microphone during certain moments when streaming or to avoid any embarrassing moments. Due to its compact size, the Yeti Nano is quite easy to be carried around for travelling. If you have to travel interstate or overseas to attend a gaming event or conference, you can plug the Yeti Nano to your laptop and stream away as usual. 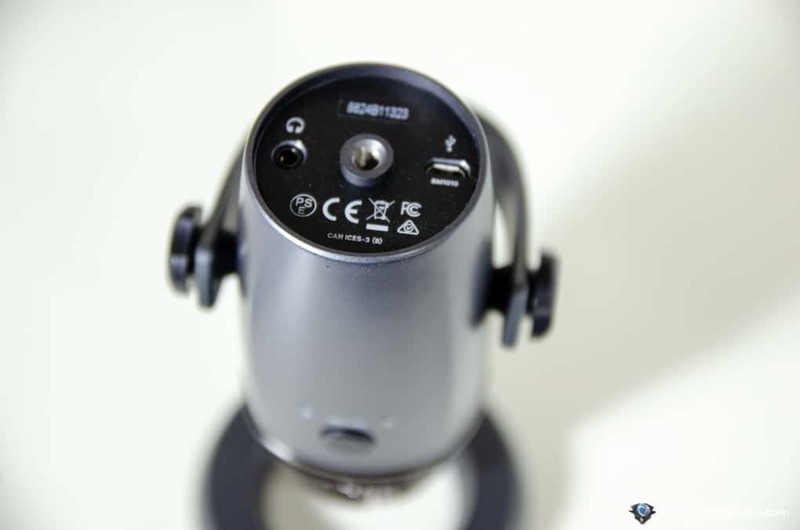 While not having the Stereo capturing mode can be tricky for a one-to-one interview session in a noisy environment, you can still do it with the Omnidirectional. I find that I can actually place the Yeti Nano pretty far from my face, though I needed to increase the Gain manually on my Windows’ Sound Settings or Sherpa. This, however, increases the sensitivity of the Yeti Nano picking up all sort of sounds around my desk and it’s much cleaner to bring it closer to you than having to increase the Mic Gain. 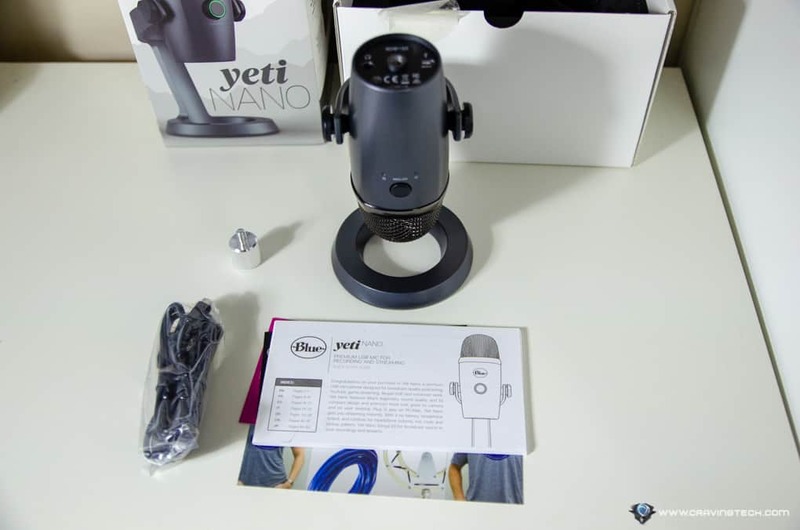 When I brought the Yeti Nano closer, the recording sound quality was excellent and note that you can also use the Yeti Nano to talk in games. A teammate realised my voice was different (in a better way) when I was playing Overwatch with the Yeti Nano. If you already have the Blue Sadie headphones, you can use the two of them to play games and upgrade your whole gaming immersion experience! Blue Yeti Nano is a premium USB microphone supporting high-fidelity recording for professionals, thanks to the 24 bit/48kHz sample rate recording support. 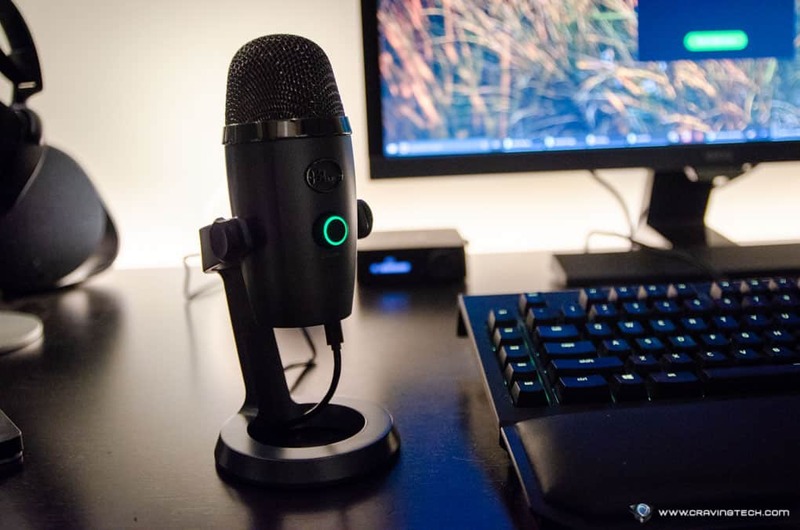 Whether you are streaming on Twitch, recording voice-overs, singing on YouTube, or simply use the Yeti Nano for playing games, you’ll definitely be satisfied with the recording quality of the Yeti Nano. There is also a 1/4″ thread mount that allows you to connect to a variety of camera and video tripods, pretty handy. You can buy these extra accessories later as you get more professional and gain more followers. With the included desk stand, it’s more than enough to keep you going. If you are familiar with the Yeti line, Yeti Nano sits in between the Snowball and the Yeti. The Yeti Nano from Blue comes with A$159.95 RRP tag and available in retailers around Australia such as JB Hi-Fi. I’d highly recommend getting the Blue Yeti Nano if you are still streaming or recording your voice with a gaming headset.